Lavender in it's natural form makes my eyes water... it's fine in soap and other things but actual lavender does make me stream so I tend to avoid it. I do know that it has incredibly soothing qualities though and as someone who doesn't sleep fantastically well at the best of times I really wanted to see if this natural approach helped. Charlotte & Co have come up with some sleep therapy goodies which me and my mum have been trying out over the last week and which we both think are really lovely. The Lavender pillow spray is our favourite - a really light smell that soothes you without you really knowing anything about it. What is extra nice about this is just adds a feeling of freshness to your pillowcase if it's been on for a couple of days. The really innovative Bath and Body Oil is also lovely although you need quite a lot for it to be noticeable in the bath but I love that you can use this in water or spray it directly onto the skin which is fantastic to have in your washbag on holiday. There is also a gorgeous soothing eye mask which I have not been using in case it sets my eyes off but my mother says it is really lovely and gives a good bust of lavender scent before bed. What i think is great about this eye mask is that rather than hanging around during the day looking a little out of place you can either put this in a drawer to add fragrance to your clothes or put under your pillow to add extra soothing scent. I'm sure a lot of you are the same - whenever I am in a pharmacy/chemist I look at the make up and if there is something that looks good that is under £5 I convince myself that it's a bargain and I buy it. Some of it is good, some of it is bad and some of it I never really use properly until I've had it for years. I'd say I have had this loose eye shadow, Let Loose, for well over a year and I've used it a bit but not really. It's in Jump, a sort of pale gold colour which always attracts me but I never actually use that much. Well that all changed this morning. I was being cross because I don't have enough money to buy the Mac pigment I want from eBay (they don't make it anymore) and was looking through to see what was the closest thing I had to it and thought I'd give Let Loose a go. 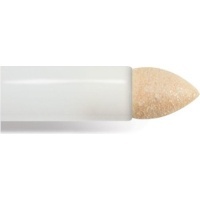 Now I was paying attention to it I was really impressed - it is easy to apply, stays on well and buffs into a beautiful, blendable colour that adds a bit of shimmer to your lid without being over the top. I'm sure you could build these colours up and blend them together well and now I really want to try out other colours - there's a lovely bright green (Show Off) and a dark one (Flip) that would do a good sort of green smoky eye, and Noir which I'm sure would be great for people who struggle with grey/black smoky eyes (a lot of the time you can end up looking like you've been punched in the face!). Am obsessed with watching tutorials on YouTube at the moment so I thought I'd invent a Friday treat which... well speaks for itself. 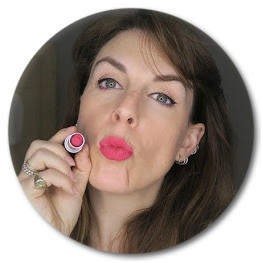 I love this one as she uses my favourite moisturiser and cleanser and it's such a classic look. As a massive fan of black eyeliner she also does fantastic flicks which is worth seeing. I started noticing MyFace cosmetics around the place. There's a small selection of it in Hammersmith Boots and well because it was Hammersmith Boots I didn't think too much about it. But it did look inviting so I had a look on the good old tinternet and realised that far from this being another cheapy brand of fall apart products this was a new range devised by famous make-up artist Charlotte Tilbury in three basic colour ranges - fair, medium and dark. Each of these has a range of three shades within them 01, 02 and 03. This does seem to be a bit of a tricky concept - I mean surely we can't all be slotted into one of these categories. Well actually I think we can. Or at least I can! 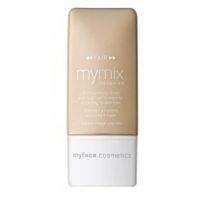 I've been using their fair MyMix Foundation in Fair 02 for the past couple of weeks and not only do I love the way it is so incredibly easy to apply but I've had lots of comments on how great my skin looks. It's fantastic that someone as well known and established in the business has come up with a concept that is affordable and actually works. If you are a make-up artist brushes are the tools of your trade, if you are remotely into make-up brushes are an expensive addition to your kit, so it is vital that when you spend your money you get something that you are going to use and is going to last well. If you keep your brushes clean and dry them properly there is no reason why they shouldn't last a long time. I bought the Laura Mercier Creme Eye Detail Brush just before my wedding to apply the creme eye shadow I was using on the day. I still use the eye colour occasionally (it's the Metallic Creme Eye Colour in Burnished Copper) and have so far only used that brush for that eye colour. However, recently I've been wanting a reasonably thin but soft brush to use to blend colour along the eye socket and I have found this works wonderfully with my powder shadows as well. It is the perfect shape and size for the eye socket and although it is synthetic is incredibly soft but holds its shape well. You can be really precise with this brush and blend well at the corners. 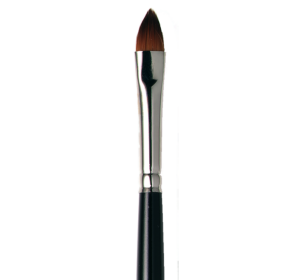 If you are needing a versatile brush to blend and do precise shaping on the eye lid this is a great choice. Highly recommended by me!